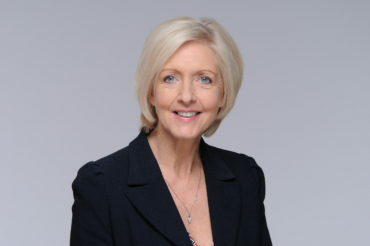 Experienced industry CEO Jan Ward CBE is to chair the board of the Calculus Venture Capital Trust when current Chairman Michael O’Higgins steps down later this year. Ward has more than 30 years’ experience in the oil, gas, petrochemical and power industry. A mechanical engineer, she is founder and CEO of Corrotherm International Ltd, which she started with no capital from her bedroom in 1992. Today Corrotherm has offices in 10 countries and exports British-made nickel alloy components for the oil, gas and power industry to 60 countries. A past director of Woman in Business International, Ward has promoted women in engineering and mentored young business women for many years. In 2009, she was named the UK’s most inspirational female entrepreneur, winning the NatWest Everywoman Award which champions female entrepreneurs. She was awarded a CBE in the 2015 New Years’ Honours List for services to businesses and is a former non-executive director of the board of UK Trade & Industry. Ward becomes a non-executive director of the Calculus VCT company from 1 March 2019 and will chair the board after the AGM, which is currently scheduled to take place on 4 July 2019. Calculus Capital Chief Executive John Glencross said: “The board plays an important part in the management of our VCT and we have been grateful for the leadership and wise counsel of Michael, who has been Chairman for six years. Diane Seymour Williams, who was Chairman of the Neptune-Calculus Income and Growth VCT plc and who joined the board of the Calculus VCT at the time of the merger of the two VCTs, will also step down from the board at the end of February to devote time to her other quoted directorships. At the conclusion of the AGM, the non-executive directors will be Jan Ward CBE (Chairman), Kate Cornish Bowden (Chair of the Audit Committee) and Claire Olsen.